Given that many universities request students to download and use certain commercial smartphone applications, commentator Dai An said that they must refrain from trading students’ interest for profits, on rednet.cn, a local official news portal based in central China’s Hunan Province. 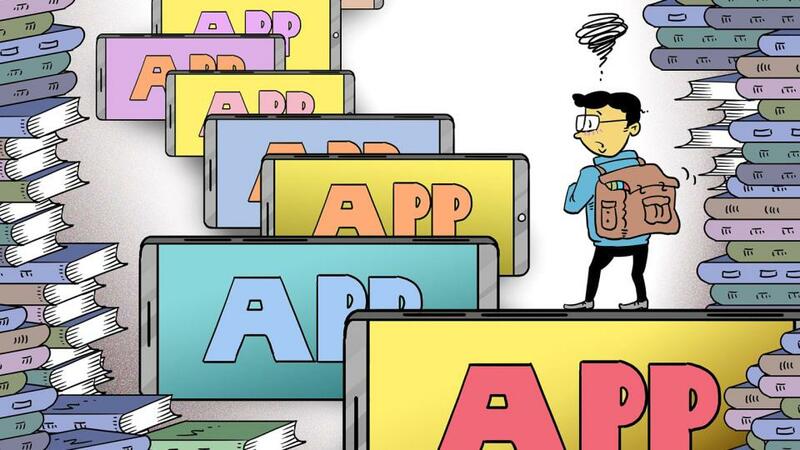 On March 12, China’s Ministry of Education announced it would work with cyberspace administrators to tackle the problem of school authorities forcing smartphone applications on students, as in some cases, they use the large number of users – students – as a bargaining chip to negotiate a deal from application developers. Just as it is rampant in primary and high schools, this problem also widely exists in Chinese colleges, he noted. After figuring that college students have more free time and are more dependent on cellphones compared with younger students, application developers usually work with college authorities to package their offerings as “compulsory” for students. Not touching on students’ rights and appeals aside, Dai focused his criticisms on the safety hazards of such applications. A college, for example, requires that students do a minimum amount of extracurricular physical activities per semester, which is partly linked to their overall performance assessment – usual in China. The college then decides to use an exercise record application offered by a developer and requires each student to download one, though it can only track running. During tracking, it identifies different point locations – sometimes quite far-off – for students to meet, so a common scene is that with eyes on the phone in hands, students go around the college to these locations, sometimes crossing roads, which puts their safety at risk. Worse still, those who do other sports are forced to join them. Higher institutions must not force their students to download different kinds of applications, they should instead to wean from cellphone dependency. They must refrain from exchanging students’ interests for material gains, putting student welfare in jeopardy, he concluded.